Physics is a science which aims at answering the big mysteries in Nature. Physicists have always been attracted by the greatest challenges. But sometimes even the most demanding problems reveal themselves little by little. On the 8th of April 1911 a discovery was made through an apparently simple experiment in a glass flask of very special design in a physics laboratory in Leiden, Holland. The experiment set in motion a series of events with few parallels in the history of science. But physics was far from ready for the advent of superconductivity, the enigmatic phenomenon which Heike Kamerlingh Onnes and his student Gilles Holst had just observed. 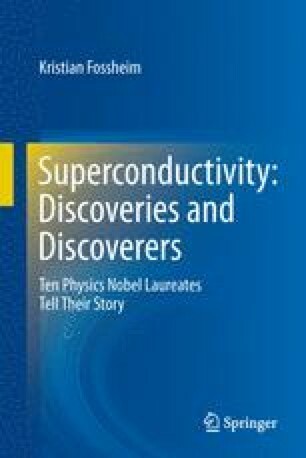 Today, more than a hundred years later, after great scientific research efforts and big investments, and after many impressive scientific and technical breakthroughs, a cloud of mystery still hovers over aspects of superconductivity. Nature continues to play her elusive game with the best minds of physics.